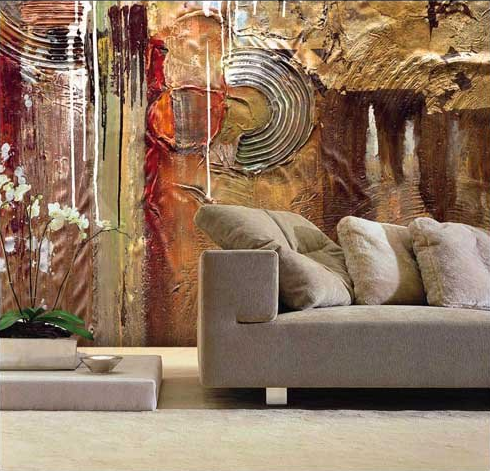 Creative and abstract wall art or decorations can create high-end, contemporary feel anywhere. 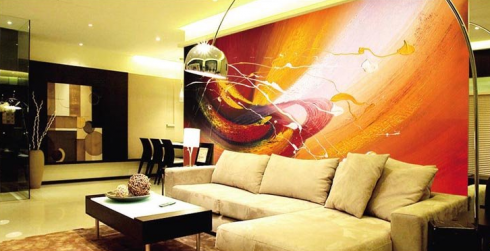 Designed in collaboration with photographers and artists, they represent a unique solution to have a piece of work without paying any artist to decor your wall (but this doesn’t means that it’s cheap). Take a look at the unlimited possibility. 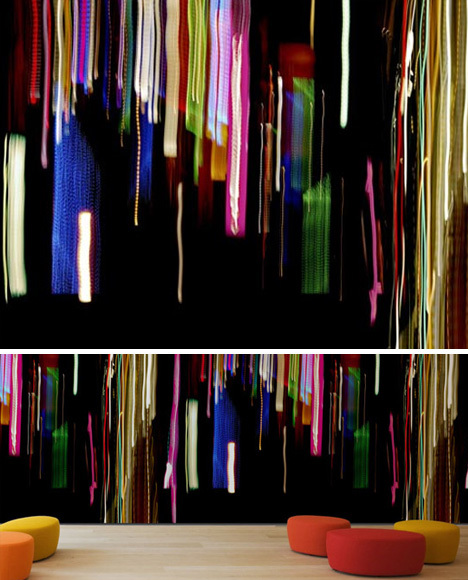 This piece, for example, is inspired by slow-motion photography – the streaks of light against the dark of night are associated with cars in the city, or urban lights through windows in the rain. 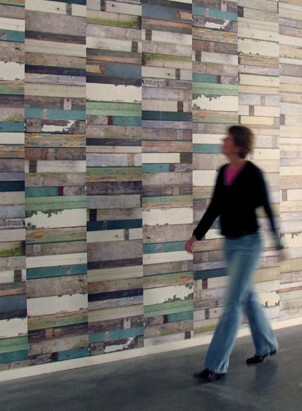 This wallpaper represents different kinds of wood that create a wall-floor illusion. 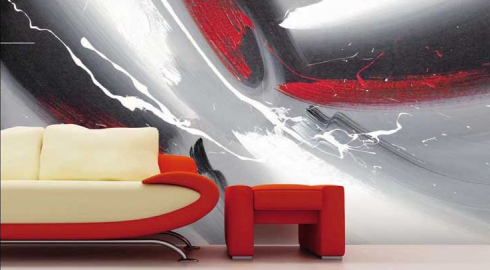 This wallpaper art made to look like a modern painting.